CHANGING BETWEEN CHORDS – CHALLENGING BUT WORTH IT! Lesson four shows you how to change between chords. perhaps not perfect is a must. By setting a time, that is a constant pulse and keeping to it, you’ll actually learn to change chords faster than if you just play in your own time. This last point cannot be overlooked. To make fast progress as you attempt to change between chords you must practice “in time”. ARE SOME CHORD CHANGES HARDER THAN OTHERS? Without doubt yes. The fact is that some movements between chords and finger combinations are harder to master than others. Keep this in mind though. For every chord combination you learn, you take this muscle memory over into other chord changes that you will face. The main thing you should concentrate on at the beginning is to listen hard to the advice that Gary gives regarding force multipliers. For example, looking for teams of fingers that work together. Look for fingers that don’t need to move. These and other nuggets of advice are all covered in the video so take note of them and apply them to your playing. Apply the knowledge and ideas that you get from this lesson to as many of your own and others peoples songs as you can. It’s a very old adage, but practice really does make perfect. The more you play and the more musical situations you encounter the better. Make sure you check out the Major Chords and Minor Chords videos from time to time. It’s easy to overlook some aspects when watching through just once. 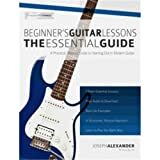 Finally our How To Play Guitar page is an excellent roundup of just some of the resources available from GMI.